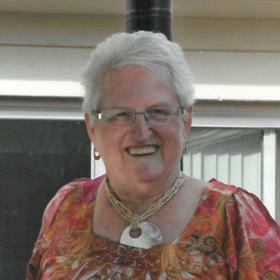 With a radiant smile and quick wit, Lois Beaudrie embraced life with joy and love. A devoted wife, mother, grandmother, great-grandmother, and friend, Lois lived each moment with gratitude and a will to be of service to those she loved. 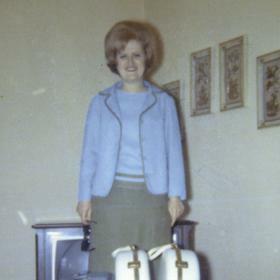 Thoughtful and caring, Lois welcomed others wholeheartedly and naturally created a warm sense of home wherever she was. Cherished by many, Lois’ loving legacy will long live in the hearts of those who were blessed to know her. 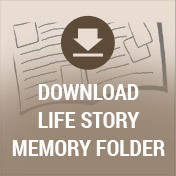 1944 marked a time when all American lives were directly impacted by the war effort in Europe. While countless young people actively served in the trenches of WWII, those who remained stateside poured their energies into supporting the war effort in any way they could. As Americans welcomed the end of meat rationing and began planting Victory Gardens, Franklin D. Roosevelt signed the G.I. Bill and soon became the only U.S. president to be elected to a fourth term. As the nation looked toward peace, Edward and Irene Brennan celebrated their own hopes for the future as they welcomed their second daughter Lois into their hearts and home on February 1st. Growing up in the Detroit area during the 50s, Lois enjoyed the comforts of a typical midwest childhood. Her father provided for the family as the owner and operator of a local ambulance company. Along with her older sister, Susan, Lois learned the values of family, hard work, and service that became the firm foundation upon which she built the rest of her life. After graduating from Highland Park High School with the class 1961, Lois began working as a phone operator for Ma Bell. She then found work as a county clerk for Wayne County. She was the first female court clerk for Wayne County Probate Court. For nearly 15 years, Lois worked as a clerk in the probate court. She loved her job and the people she worked for. She especially enjoyed working in downtown Detroit. Pioneer for women rights in the work place, pushing back against sexual harassment and fighting for women to wear slacks. New Year’s Eve of 1971 gifted Lois with the love of her life. While attending a party at her coworker Lucille’s house, Lois was introduced to Lucille’s brother Tom. Instantly smitten with Lois, Tom said to her that he was going to marry her. Lois told him he was crazy and drunk! 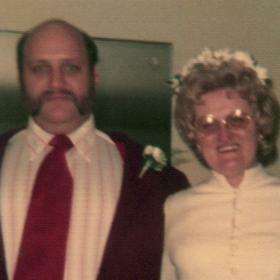 Ten short months later, Tom’s declaration proved true as the happy couple married on October 20, 1972, in Detroit. The newlyweds immediately traveled to Florida to visit Tom’s parents and continue their celebration. Upon returning home, the couple settled into a new rhythm. Balancing one another beautifully, Lois inspired Tom to slow down. While Tom worked aerospace quality control, Lois continued her work at the court. They enjoyed home life that often centered around Tom’s six-year-old daughter Tracey whom Lois loved as her own. In 1977 Lois and Tom built a home in Sterling Heights and in 1978 welcomed their son Tom Jr. into their family. Just three short years later, at the age of 37, Lois suffered a heart attack. This frightening event inspired Lois to be even more steadfast in her protective care of her family, especially her children. Lois did her best to maintain order and control; it is fair to say that she was a full-fledged helicopter mom. A well-organized pack rat who relished in hosting parties, Lois loved decorating and had a themed napkin for every event. Holidays were always grander for Lois’ efforts. While Tom did the primary cooking, Lois was the master of the appetizers, which were her favorite. An avid reader who loved every genre, Lois owned a bookstore in Sterling Heights for a time. When not reading, Lois enjoyed playing cards. During her earlier years, Pinochle and Hearts were the games she most often played. Later it was all about Euchre. Lois also loved flowers but didn’t have a green thumb, so Tom always planted them. Natural homebodies, rather than traveling, Lois and Tom much preferred time together with their family or curling up with good books. As their family grew to include the gift of grandchildren, Lois’ delight grew as well. Without a doubt, her grandchildren were Lois’ heart’s delight, and she lovingly supported them in all their endeavors. In 1994, the family moved to Cadillac where Tom worked for AAR Cadillac Manufacturer for the next eight years. They came to love the area and made many of their best friends during these years. In 2001 Tom and Lois moved to Bayonet Point, Florida where they enjoyed the beach and being active in their neighborhood association. Lois continued to enjoy opening their home and being a wonderful hostess for family and friends who came to visit them during these years. 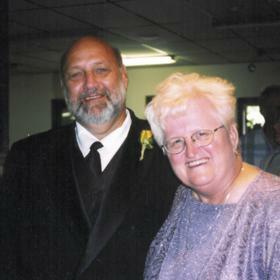 In 2011 it was time to move closer to family, so Lois and Tom returned to Michigan and made their final home in Portage. 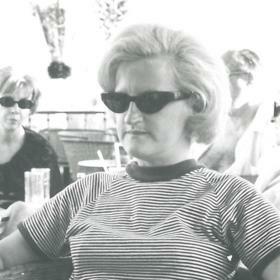 A woman who preferred to be busy, Lois served as a director of the United Way for several years. The work suited her, and she loved the job very much. When Tom became ill, Lois quit her job to pour her energies into his care. After sharing 44 happy years of marriage, on New Year’s Eve of 2015, Lois had to say goodbye to the love of her life. Finding comfort in many shared memories and the blessings of their family, Lois continued to meet each of the rest of her days with joy. With signature determination to inspire humor, laughter, friendship, and connectivity Lois was devoted to those she loved and treasured each moment they shared. Though the world is certainly duller in the absence of Lois’ bright spirit, may we find comfort in knowing that her legacy continues to shine in our hearts and lives. With each grand holiday we celebrate, book we enjoy, sarcastic line we remember, and game of Euchre we play, we live the gifts Lois so freely gave us and assure that her spirit will continue to be a source of inspiration. Lois A. Beaudrie of Portage, Age 74, died April 8, 2018, at Borgess Gardens, Kalamazoo. She was born February 1, 1944, in Detroit, the daughter of Edward and Irene Brennan. Lois was preceded in death by her husband, Thomas Sr. in 2015 and sister, Susan Bertrand. Surviving 2 children: Tracey (James) Cade and Thomas Beaudrie, Jr; 6 grandchildren: Courtney, Ashley, Matthew, Michael, Maya, and Elliana; great-grandson, Ayden; nephew, William (Lori) Bertrand and niece, Lisa McKissack. Cremation will take place. Services will be held Saturday 11am at Betzler Life Story Funeral Home, 6080 Stadium Dr. Kalamazoo (269) 375-2900 where a visitation will begin at 10am.  A luncheon will follow the service in the Life Story Center. Please visit Lois’ personal web page at www.betzlerfuneralhome.com, where you can read her story, archive a favorite memory or photo and sign her online guestbook before coming to the funeral home. Memorial contributions may be made to American Heart Association.